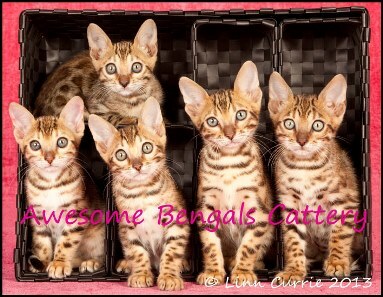 We specialize in raising brown spotted Bengals with amazing rosettes at Awesome Bengals and sometimes have stunning marbles. Our babies receive the best possible care. Being a veterinary nurse, I am very particular about the hygiene aspect as well as the emotional side of the kittens. Kittens are ready to go to their new homes around 12 weeks of age. By this time they are well litter box trained, vaccinated, dewormed, sterilized (pets), microchipped, registered and most importantly loved and socialized. Our babies are raised in our home where they are used to the daily routine of everyday living. 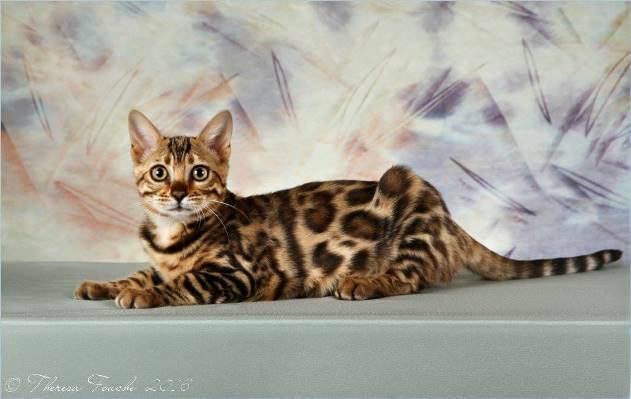 Every kitten is sold on contract and with a health guarantee and pedigree. 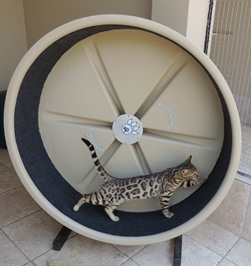 but will be determinded before the kitten is sold. A deposit of 50% of the kitten price is required once a kitten is on hold (non refundable). at about 12 weeks of age. There are no expected kittens at the moment. Hopefully again in Spring.